Playing fantasy football is not about being the biggest, meanest, or even smartest player out there, it is about being adaptable to changing situations. Injuries, coaching changes and legal issues can all be hazardous to your fantasy team, but being able to think on your feet and adjust to these changes is what will make you a champion. Draft strategy can evolve from philosophies that have nothing to do with fantasy football. I am always inspired by martial arts legend Bruce Lee with his “be like water” strategy. I write an article about this every year, because it works. 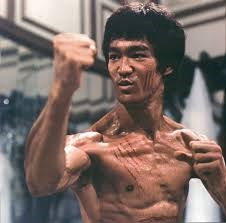 Much like Bruce Lee’s movie, “Game of Death”, the strategy behind “being like water” is about adapting to your surroundings and using your opponents, aka leaguemates, weaknesses against themselves. In the “Game of Death”, Lee’s character Hai Tien gets forced to fight martial artists with different styles on each floor and make his way up a tiered building to save his family. As he would defeat each martial artist, Tien would comment on their particular weakness and how he used their style to defeat them. Similar to the “Game of Death” concept, in fantasy football, you will also encounter foes with drastically different styles. The key is in understanding their approach. The concept of upside down drafting has grown more popular in the last few years. This is when you focus on wide receivers, premier tight ends (Gronkowski/Graham), and quarterbacks first, before you start drafting running backs. This style has its merits if you are drafting in the back half of your draft. It makes less sense if you have a top four pick as LeSean McCoy, Jamaal Charles, Matt Forte, and Adrian Peterson, all have tremendous value especially in a PPR (points per reception leagues). Most teams that use this style will have strong wide receivers and quarterbacks, but may struggle to find consistency at the running back position. This style should be incorporated in your draft plans; however, instead of devaluing running backs, increase the value of wide receivers, tight ends, and quarterbacks. The values of running backs, wide receivers, tight ends, and quarterbacks should be based on fantasy points not position. This is especially true in PPR leagues, leagues that give premium PPR scoring to tight ends, and all touchdowns are worth 6 point leagues as these formats do a great job of evening the playing field. The running back heavy style of drafting to make sure you get two or three running backs within the first three rounds is one of the oldest draft techniques. Please take into consideration that this Tao (way) began before the NFL moved towards a running back by committee approach. Great running backs score a lot of fantasy points, but have a higher injury rate than most other positions. This causes some owners to invest high picks in their handcuffs so they always have the starting running back from a particular team. There is more value grabbing wide receivers in the middle of the first to early/middle second round with luminaries such as Calvin Johnson, AJ Green, Demaryius Thomas, Julio Jones, and/or Alshon Jeffery. You can wait and get running backs a few rounds later and load up on a few to mitigate the risk. Lastly when you use this Tao of Water technique, make sure you set tiers of players. The tiers should be structured by position and overall value. This will aid you to follow the flow of the draft and not miss opportunities to find value. Good luck with your drafts and feel free to ask me questions on Twitter @AndrewMiley and/or @Dynasty_Blitz. « Lamin Barrow, sleeper or sleepy?